Depend on Center Drill Inc., based in Pearland, Texas, for down hole drilling and oil field tools. 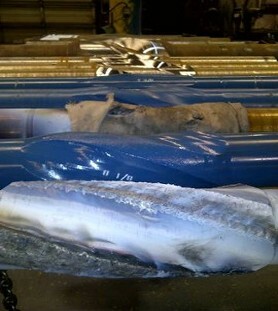 Our company manufactures stabilizers and offers repair and rental of a variety of tools for the oil and gas industry. Call us today for rental availability. With more than 22 years of hands-on reliability, you know the tools you rent or buy from CDI are right for the job. Our company keeps a large supply of integral blade raw materials, turned and milled, and we grind and gauge our tools with precision ring gauges. In fact, CDI keeps common sizes of stabilizers repaired, inspected, and ready for shipment. Since 1990, our family-owned-and-operated business has provided unsurpassed reliability and quality of work. Our company has 3 generations of trained professionals to provide you with the tools you need. Contact us today in Pearland, Texas, for more information about our stabilizers.